The current generation of BMW Z4 in its sDrive35is version is like one of those All-In-One computers! It’s a classy roadster with a hard-top that folds away, it has great looks, a fancy interior, and it’s got a 305 hp engine. It is spot on perfect. 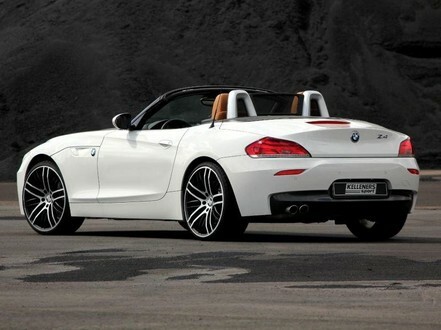 But Kelleners Sport thought they know better, and therefore modified the Z4 extensively. They’ve extract another 100 hp out of that engine for a total 405 hp, which is great. Except they’ve done nothing to the brakes and chassis! They have lowered the car a bit and put bigger wheels under it, but are they enough to cope with an extra 100 hp? They have however taken care of styling and interior with sporty accessories and aluminum pedals and stuff.